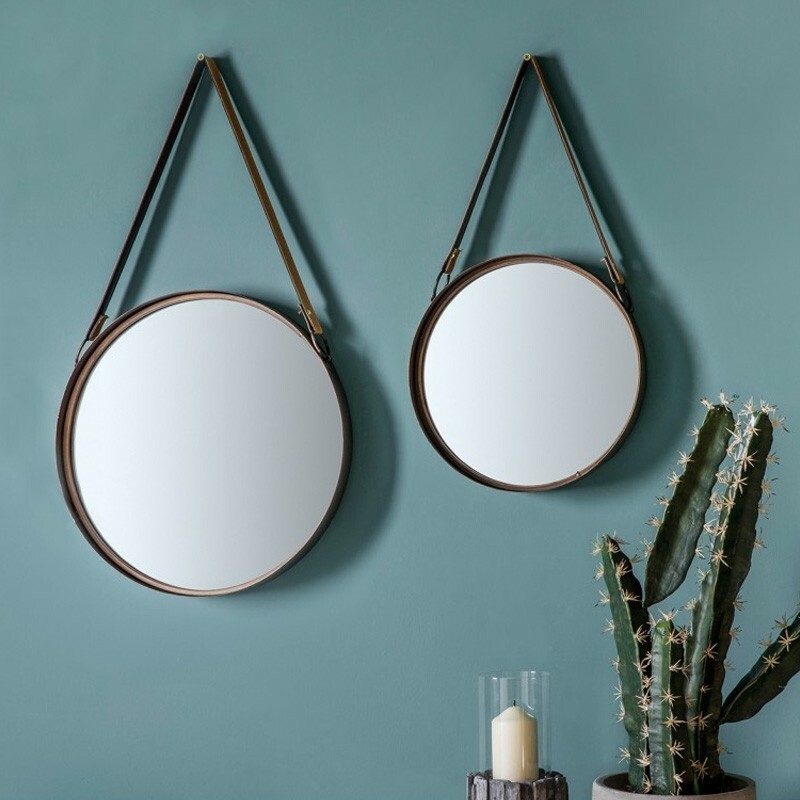 Instantly revive any plain wall with the eye-catching Round Hanging Mirror Duo! This perfect pair boast rather swish round bronze-finish frames and faux leather hanging straps, to create two stunning shabby chic designs which are guaranteed to enhance your chosen space. Whether you display them together, or spread them throughout your room or house, these striking modern mirrors are guaranteed to catch the eye of your visitors. Measuring 30cm and 40cm in diameter, these captivating designs blend materials to stunning effect. They would make fabulous additions to a hallway or bedroom, and would look at home alongside any contemporary or rustic style décor!